The cattle are all out to pasture and the matings are done, now it's time to AI the spring calving cowherd! We time AI breed all of our cows using CIDRs to synchronize them. Each cows is individually mated to a AI sire and to a natural service sire. We make a list of the bulls that we are going to use AI and those that we will use Natural Service. We look at the possible EPD values of the calf if the cow were to be mated to each of the available AI and Natural Service bulls. This give us the choices that would work best for her on paper. We then take into consideration the cow's history, looking at how her past matings have performed, and how her cow family has performed on various matings. 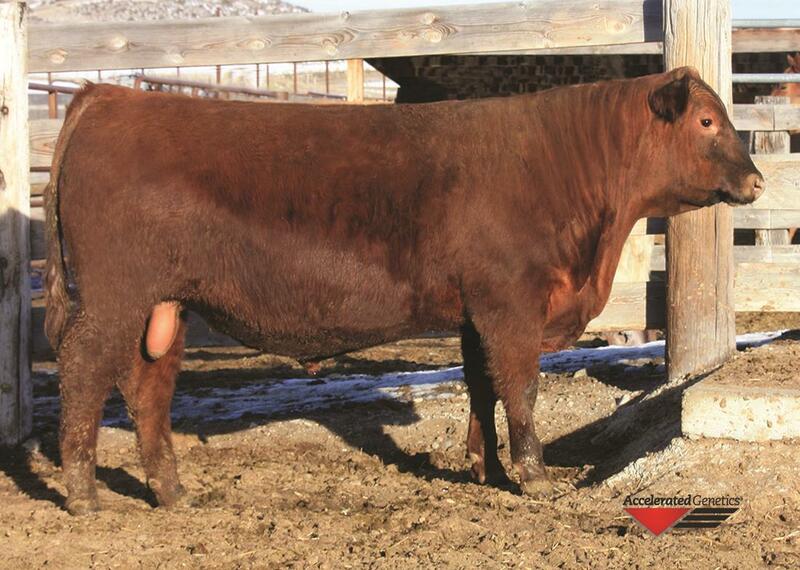 Lastly we consider her phenotype and look for a bull that will improve on any faults that she may have. We then try to find the best bull that will balance that cow and create the best possible calf next year! It's a long process that takes a lot of time, but we believe it creates the best possible bulls for our customers! We kept the cows in the three large groups and set up portable corrals in each of the pastures. We inserted the CIDRs in one group per day, and then bred the three groups over a three day period. Here are some pictures of inserting the CIDRS. It's that time of year, Breeding season is in full swing. This past week Craig and Craig Howard made the matings for the 2017 calf crop. We take a lot of pride in the fact that we individually choose an AI and Natural Service mating for every cow on the ranch. It's a long process but in the end we know that each cow is matched with the bull that we believe will work best with her phenotype and EPD profile! 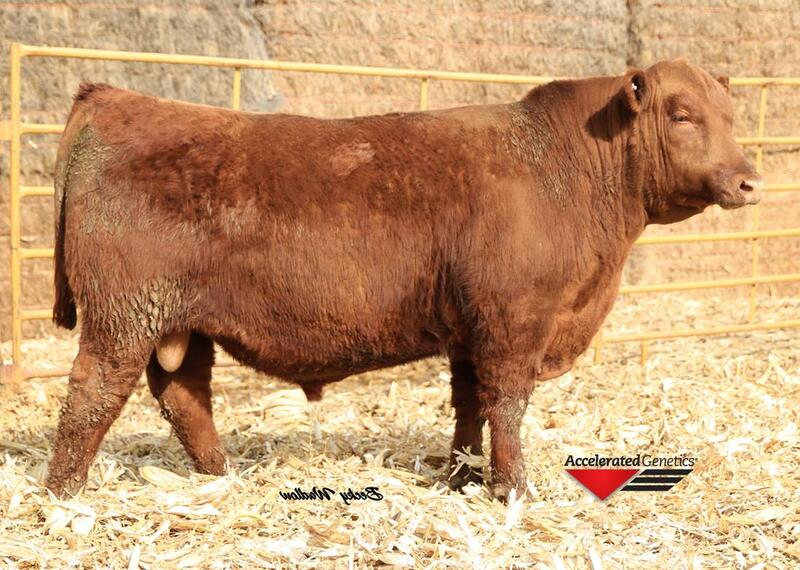 If you have any questions about the bulls we are using or how we mate our cattle at Bieber Red Angus please ask! 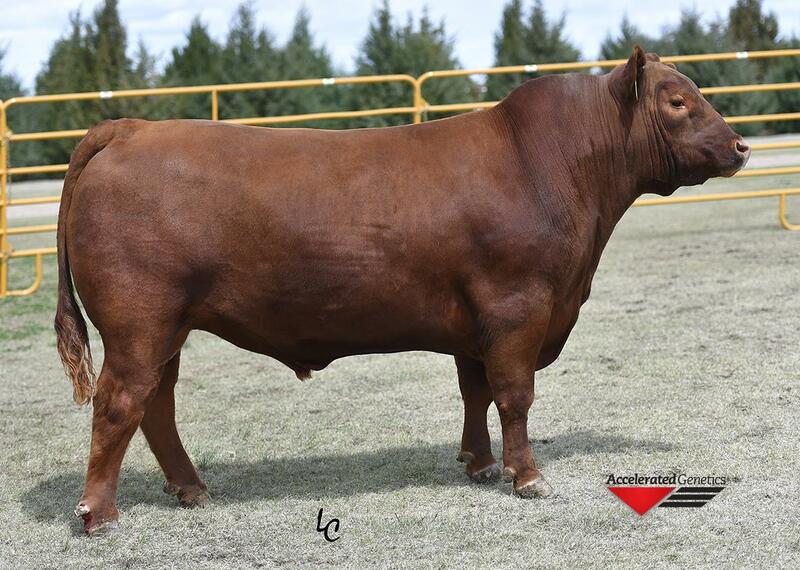 Let's Roll topped our 2015 Spring Production Sale and sold to Crump Red Angus. He is a son of Bieber Rollin Deep Y118. The weather has been cool and rainy this past week, but it's time to get the pairs out on pasture! Our pairs are sorted into 3 pastures close to ranch headquarters as they leave the calving barn. We sort them according to how we want our breeding groups to work out. Moving baby calves is always a challenge and we try to make it as easy on the calves as possible. To do this we gathered a group of pairs and moved them about 2-3 pastures from their old location, pair them back up and then let them rest for a day or so. We keep moving the bunch in this manner until we get them to the pasture that we will AI the cows in. After AIing all of the cows we will sort the pairs from the 3 large groups into their small natural service breeding groups, which we walk to individual pastures! Here are some pictures of moving one bunch of cows! The baby calves love running during the gather, we try to keep them up close to the cows in an effort to keep them from trying to 'run back'. When pairs are seperated and moved to a new location their instinct is if either half of the pair cannot find the other in the new location they will 'run back' to the last place they saw/smelled each other. When you're moving pastures this would be the old pasture. Cows and calves will travel miles and go through numerous fences to get back to where they believe the other half of their pair is. Which is why we try to make many small moves, when possible, and make sure the cattle are paired in the new pasture. Long moves also get the calves tired which increases their desire to run back to their old pasture. As the calves get older they get easier to move and their instinct to leave the group to run back decreases. Baby calves are hard to move, mostly because they have had little experince. Think of it like herding cats! The cows on the other hand know when its time to move and for the most part will pick up and start moving while leaving the calves in the back, then like clockwork about halfway to the new pasture the cows will remember the calves and turn to run back and get them. Cows turning and running back make the calves in the back even harder to move. In an effort to slow the cows down/distract them we use the feed wagon to lead them to the new pasture. This instinct the cows feel also fades with as the calves get older. Once we get the pairs to pasture we feed them and use this time to bunch the calves in with the cows. We then pair up any calves that need extra help finding their mom. The rainy wet conditions made this move more difficult (and dirty)! It's been a rainy cool last part of April/beginning of May here in South Dakota. We're thankful for the rain and know that it will lead to lots of green grass in a few weeks! 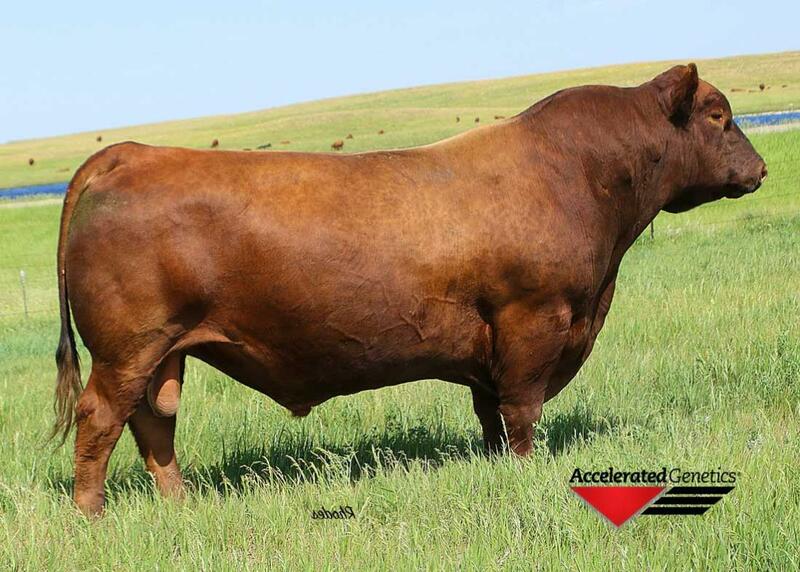 Here at Bieber Red Angus we flush a group of donor cows throughout the year. We implant these embryos in the spring each year into cooperator herds. 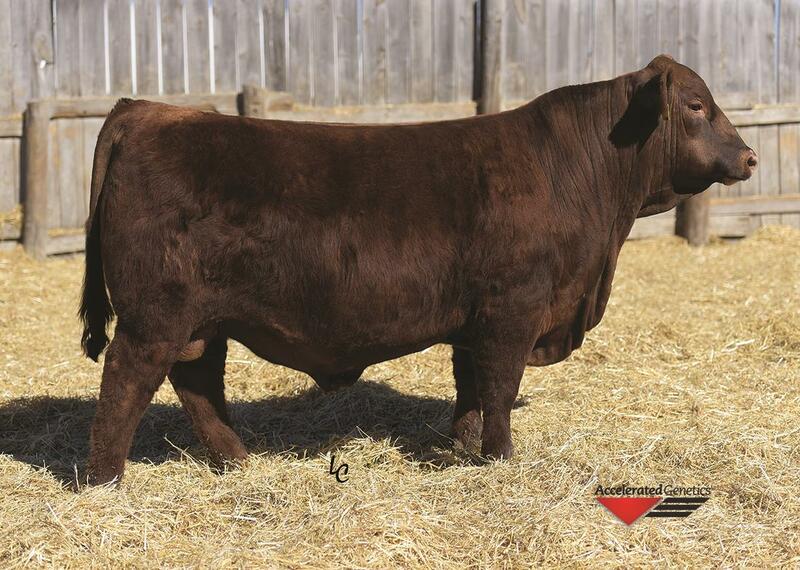 No embryos are implanted back into cows that we own, instead we purchase the calves back from the cooperators at a premium each year in the fall. All cooperators follow our spring vaccination routine, and for teh cooperators that live close we travel to their operations to help work the calves and brand all of the ET calves! Here are some pictures from the branding! If you are interested in attending a Branding we will be having one more this coming summer, watch the blog or Facebook for more information!